Many people live well into their 80's – and beyond. As the body ages, however, various systems slow down and the risk of disease increases. Even though you can't stop time, you can forestall some of the negative effects of ageing with a healthy lifestyle and well-chosen supplements. Put simply, ageing is the process of growing old. Every part of the body is affected. Among other changes, hair turns grey, skin develops wrinkles, joints and muscles lose flexibility, bones beome weak, memory declines, eyesight diminishes and immunity is impaired. Cells in the body divide a set number of times, and then they die and are replaced by new cells. With age, this process slows down, and all body systems start to deteriorate progressively. Though some of this decline is normal and inevitable, many researchers believe that unstable oxygen molecules called free radicals accelerate the process, making us old before our time. Some damage of this kind is unavoidable. But you may be able to slow down the ageing process by avoiding outside factors that foster the formation of free-radicals – cigarette smoke, pollution, excessive alcohol and radiation from X-rays or the sun – and by enhancing your body's own antioxidant defences. Manufacturing by the body cells and obtained from food, antioxidants are powerful weapons that can disarm free radicals. 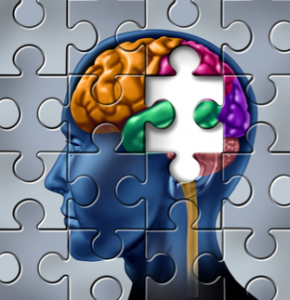 Slowing of cognitive processes: difficulty in accessing memory and learning and remembering new people and events. Sensory decline: delay in refocusing eyes and impaired ability to hear high-pitched sounds. Weakened immune system: increased susceptibility to colds, flu and other illnesse. Decline in muscle and bone mass. Increased risk of developing heart disease and cancer. Some supplements should be used daily by everyone concerned about the effects of ageing. Vitamin C and vitamin E are antioxidants that fight free radicals. Vitamin E protects the fatty membranes that surround cells. It also improves immune funtion in older people and reduces the risk of some age-related conditions, including heart disease, some forms of cancer, and possibly Alzheimer's disease. Green tea extract, long prized for its longevity properties, and grape seed extract (100 mg twice a day) are other antioxidants that may be more potent than vitamins C and E.
Folic acid, a B vitamin, maintains red blood cells and promotes the healthy functioning of nerves. Moreover, it protects the heart by helping the body to process homocysteine, an amino-acid-like compound that may raise the risk of heart disease. Folic acid is assisted by vitamin B12, which fosters healthy brain functioning. Taking this vitamin is important because many older people lose the ability to absorb it from food, and low B12 levels can cause nerve damage and dementia. The amino-acid-like substance carnitine contributes to a healthy heart because it helps to transport oxygen to the cells and produces energy. Evening primrose oil contains gamma-linolenic acid (GLA), which is essential to a number of body processes. As it ages, the body loses its ability to convert the fats present in foods to GLA. In addition, certain supplements are vital to specific problems. Glucosamine helps to maintain joint cartilage and eases the pain of arthritis. Because it enhances blood flow, the herb ginkgo biloba may improve such age-related conditions as dizziness, impotence and memory loss. Protect yourself from strong sun. 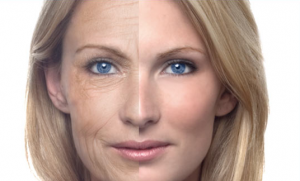 Ultraviolet rays make skin age faster. If you smoke, quit. Smoking speeds up bone and lung deterioration. Build and maintain bone and muscle mass with weight-bearing exercise, such as walking and weight training. Eat a variety of fruits and vegetables every day – they're rich in the antioxidants that combat free radicals. 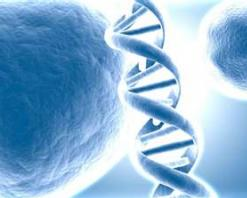 By the age of 75, the average person has 30% fewer cells in the body that he or she once had. With age, people experience a progressive loss of muscle mass and strength that can seriously reduce functional abilities. Weight training can be an important way to counteract this process. Proper diet, especially consuming protein after a workout, can also help to gain muscle size and strength. Does it matter when this protein is ingested, though? A recent study in The Journal of Physiology determined the importance of when a protein supplement was taken after exercise in seniors. Thirteen 70- to 80-year-old men completed a resistance-training program consisting of three strength exercises (leg press, knee extension, and lat pulldown - a back exercise) done on fitness equipment, performed three times per week. Seven of the men took a protein supplement within five minutes of exercise, while the remaining six took the supplement two hours later. After 12 weeks, leg muscle size, isokinetic strength (force against a nonmoving object), and overall lean body mass increased in the immediate-supplementation group only. Both groups increased the amount of weight used in their workouts - but the immediate-supplementation group increased their strength by a larger margin. Do you have an interest in avoiding premature ageing and the onset of age-related diseases? Or maybe you have heard the hype about the new anti-ageing drug that will allow you to live to 150, disease free! Sounds a bit too good to be true? It may well be, however scientific research does back up the use of natural compounds and certain lifestyle techniques to activate longevity genes. In this article we explore the research on this latest anti-ageing drug and explain how to live longer and stronger, naturally. Interested in why some of us seem to age faster than others and want to slow down the process? With so many ‘anti-ageing secrets’ and products on the market it is difficult to know where to begin. Find out which dietary and lifestyle factors are harmful to you and accelerate your rate of ageing and how you can change your ways to enhance your longevity. As the risk and incidence of chronic disease increases globally so too does medication use – to disproportionately high levels. The elderly population is most at risk of chronic disease and one of the most susceptible groups to adverse drug effects. One class of drugs with potentially harmful effects on cognitive function in older adults are anticholinergic drugs. Widely prescribed and readily available in over-the-counter preparations for cold and flu, allergies, urinary incontinence, gastrointestinal conditions. depression and more, you may be shocked to find which anticholinergic medications are putting you at risk!